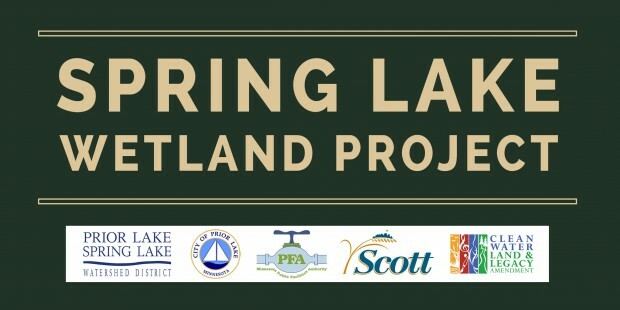 In 2002, Spring Lake was placed on Minnesota’s list of impaired waters by the Minensota Pollution Control Agency. 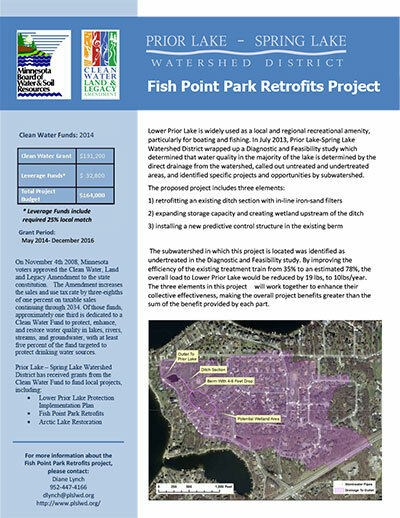 Since then, the Prior Lake-Spring Lake watershed District has been working hard to improve the water quality of the lake by restoring areas in the upper watershed, completing lake treatments to remove excess phosphorus, addressing the problems caused by common carp, and restoring the shorelines along Spring Lake, among other activities. 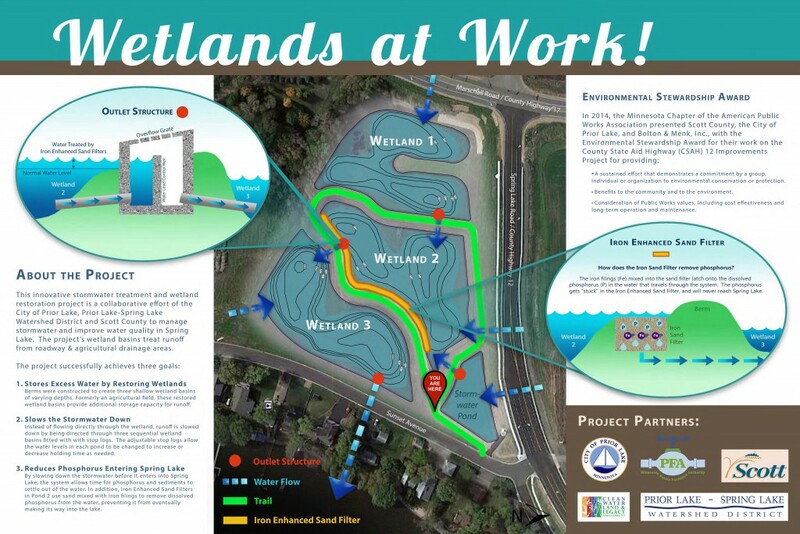 Come find out more from the scientists who are working to improve the water quality of one of our favorite resources. 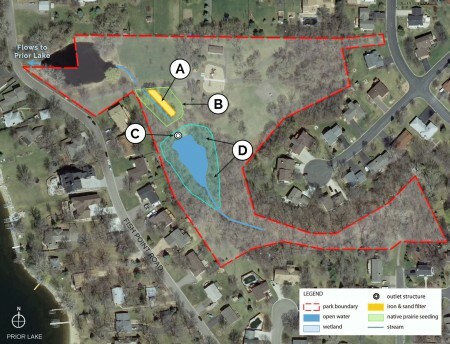 The Watershed District and the City of Prior Lake have received several inquiries regarding restricting the flow of water from Spring Lake to aid in equalizing the level of water in Prior Lake. Any change in the natural course of water requires approval of the state. In 1983 and 1993 the Watershed District was granted permits from the Department of Natural Resources to sand bag the channel between the two lakes. The City of Prior Lake and the Watershed District are researching the impact of sandbagging on Spring Lake. 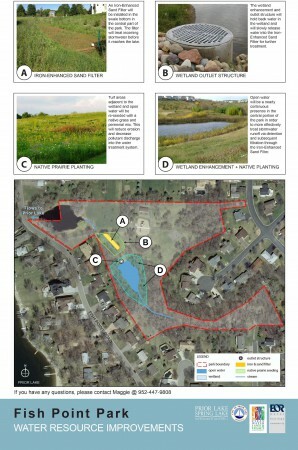 On July 2, the Prior Lake City Council passed a resolution that asked the District to seek authorization for sandbagging the Spring Lake Outlet Weir “to such a height as may be approved without damage to additional public and private property surrounding Spring Lake.” After reviewing preliminary engineered flooding models, on July 8, the Board of Managers voted to support that request. The next step is for the District to finalize the models and supply the necessary paperwork with a permit application to the Department of Natural Resources. Prior Lake and Spring Lake have crested. It all depends upon drainage in the watershed and the extent to whether or not we get more rain. Extremely high lake levels will persist for the foreseeable future. The Slow No Wake restriction for Prior Lake will not be lifted until the lake level drops below 904 feet for three consecutive days, which may take weeks. While in place, the Slow No Wake restriction dictates no person shall operate a watercraft at greater than a slow no-wake speed on the entire lake.